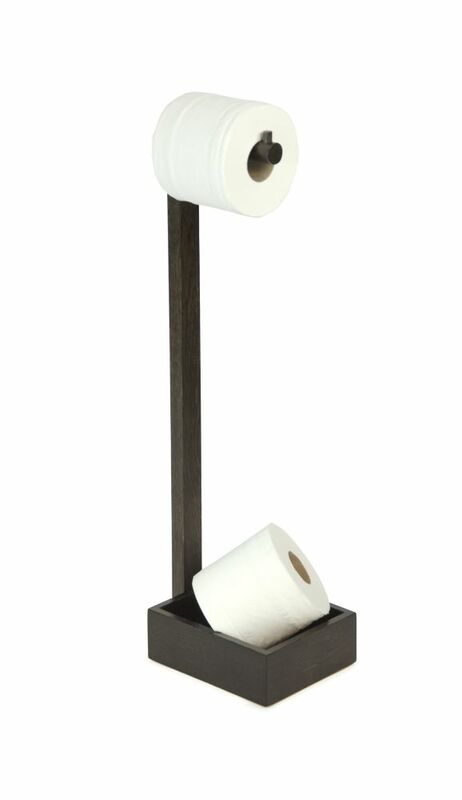 The compact, contemporary and stylish Freestanding Roll Holder can be moved to the right position. Elegant, practical and no drilling required. The compact, contemporary and stylish Freestanding Roll Holder can be moved to the right position. Holding the toilet roll at an ergonomic height it stores up to three spare rolls in the base, hygienically off the floor. Silicone feet stop it sliding. Made from natural or dark-stained solid white oak, or sustainable silky smooth engineered bamboo and sealed with a water-resistant lacquer. Design by Lincoln Rivers.